From mining booms, population booms and housing booms – Australia’s history has been littered with ‘bangs’ of productivity. Now, according to the Turnbull government, we are engaged in an ‘ideas boom’ – where all that confines us is our imagination. Certainly, the creation of ideas, or innovation as it is otherwise known, goes hand in hand with research and development (R&D). Hence, in light of the Innovation Statement released yesterday (which we have overviewed here), many have been curious about how this affects the R&D Tax Incentive. 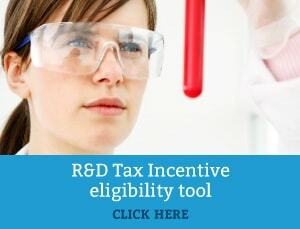 Whilst the statement included changes to tax incentives for angel investors and tax exemptions, there were no changes to the current R&D tax program. Overall, this information has provided alleviation and confidence to numerous businesses that depend on the incentive as an imperative funding apparatus. This is particularly the case due to the fact that there was speculation that the statement would involve restructuring to the scheme. Thus, the certainty around the continuation of the scheme is welcomed and will allow companies to continue to plan to undertake R&D for the financial year. Nonetheless, it is important to note that the government has gestured that it will continue to ‘refine’ the incentive. In relation to the R&D tax, Prime Minister Malcolm Turnbull said, “it’s a complex area … Innovation and Science Australia will be reviewing it carefully with the industry. It has been refined over time, and it will be refined in the future”. Furthermore, there are currently two reviews underway on the R&D Tax Incentive. These are the general tax review by the Tax White Paper, titled RE:Think, and an independent review being conducted by the Centre for International Economics. It is unknown as to when these reviews will be finalised, however it is predicted it will be in the first half of 2016. In regards to the Innovation Statement, proposed changes to the R&D Tax Incentive before these reviews had an opportunity to deliver findings would have most likely resulted in a misrepresented policy formulated “on the fly”. Lastly, the Innovation Statement included a proposal to form a new independent body, Innovation and Science Australia (ISA), which would replace and essentially redefine the role of Innovation Australia. This is expected to be effective on the 1 July 2016 and it will be the new body counselling the Government on innovation policy in Australia. Thus, with this in mind, next year there may be proposed changes to the R&D Tax Incentive under this body. 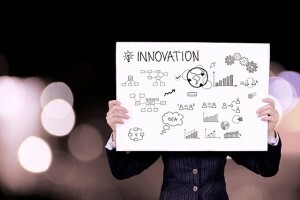 However, due to there being no changes outlined in the Innovation Statement, businesses are still encouraged to conduct R&D business activities as normal. In fact, by capitalising on the current opportunities in place, companies may be eligible for generous tax benefits – including generating cash for past and future investments. If you think your company may be eligible, have a chat to one of Swanson Reed’s R&D tax specialists, who will be able to answer any further questions you may have and help you make your claim.